If you are a company owner or a manager, you probably already know the struggle of finding the most effective ways to motivate your team and setting up a higher plank to achieve desired results. Don't make the kinds of mistakes that drain the energy from your team members. Instead, fire them up! Your people are the most important element of a successful story of your business. Most of the companies rely on their teams to get important work done. When you combine the energy, knowledge, and skills of a motivated group of people, then you and your team can accomplish anything you set your minds to. Here are 9 powerful ways to keep your team members motivated to do their best on the job and stay happy. When you set your employees' salaries, be sure that their pay is consistent with what other companies in your industry and geographic area are paying. Remember: 26 percent of engaged employees say that they would leave their current job for just a 5 percent increase in pay. Don't lose great people because you're underpaying them. Everyone wants to work in an office environment that is clean and stimulating, and that makes them feel good instead of bad. You don't have to spend a lot of money to make an office a more pleasant place to be. It is very important to provide your team members with the opportunity to learn new skills and add more value to the company and to themselves. Make sure to be able to provide them with the training system they need to in order to advance in their careers and to become knowledgeable about the latest technologies and industry news. According to Weekdone.com, 39% of employees don't feel that their input is appreciated. Encourage your team to fully participate by listening to their ideas and suggestions on how to improve work process. Ask questions, listen to their answers, and, whenever possible, implement suggested solutions. Happy employees are enthusiastic and positive members of the team, and their attitude is infectious. Keep an eye on whether or not your people are happy with their work, their employer, and you. 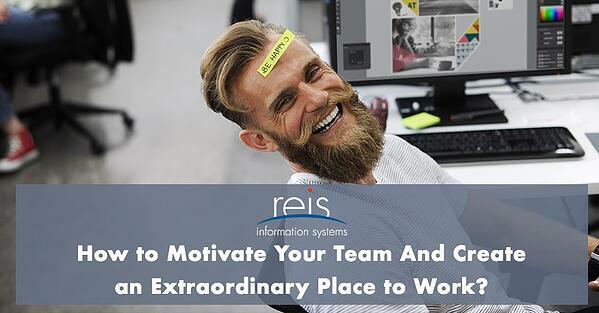 If they're not, you can count on this unhappiness and poisoning work environment to spread and kill that team spirit. We all make mistakes. It's part of being human. The key is to learn valuable lessons from those mistakes so we don't make them again. When members of your team make honest mistakes, don't punish them--instead, encourage them to try again. In one study, 63 percent of employees reported that they wasted time at work because they weren't aware of what work was a priority, and what wasn't. As a leader, it's your job to work with the members of your team to set clear goals. No one likes a boss who is constantly looking over her shoulder and second-guessing her every decision. In fact, 38% of workers in one survey reported that they would rather take on unpleasant activities than sit next to a micromanaging boss. It seems that our lives have become busier than ever, with our work, personal, and family demands constantly competing for our attention. Gaining a better work-life balance is the top desire for 18.2% of employees in the PGi survey. What can you do to help the members of your team achieve this goal in the New Year? If you have any other tips or comments about motivating your team and improving your work environment, feel free to comment below or send us a message!